Remember that big article we posted last week about Stand Up Paddling in the Olympics? And about how the International Surfing Association (ISA) was doing a lot of work behind the scenes to push for surfing and SUP racing to be in the Games one day? Well, here’s a specific example… Early next month, reigning ISA Gold Medalist and modern-day viking, Casper Steinfath, will join ISA President Fernando Aguerre in Turkey, where they’ll be pushing the cause of surfing and SUP racing to the head honchos of the Olympic movement at the big SportAccord conference. But what exactly is SportAccord? 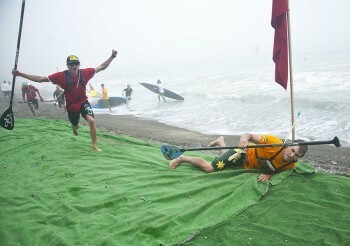 And why should fans of SUP racing even care? As Wikipedia sums it up: SportAccord is the umbrella organisation for all (Olympic and non-Olympic) international sports federations as well as organisers of multi-sports games and sport-related international associations. In short: any sport that’s in the Olympics (or wants to be one day) is a member of SportAccord, including the ISA. Well anyway, next month is the big annual meeting for SportAccord. In attendance at the convention in Turkey will be all key leaders of the Olympic community, including pretty much all the executive staff from the IOC President down. Plus all the International Federations that are already in the Summer and Winter Olympic Games, as well as all the Federations who *want* to be in the Olympics one day (such as the ISA). There will also be some big IOC executive meetings, a whole bunch of media and pretty much anyone and everyone else that’s connected to the Olympic world. In short: It’s a big deal. 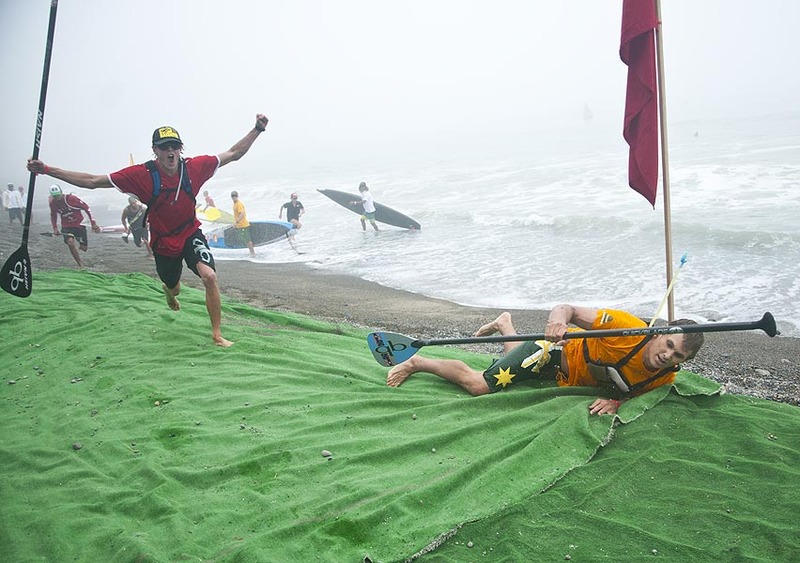 And the ISA is going to be there, pushing hard for surfing and SUP racing to be in the Olympics one day. So basically El Presidente Fernando Aguerre will be in Turkey to continue his tireless quest to connect the leaders of the Olympic movement with surfing and paddling. He’ll be highlighting new technologies (such as the WaveGarden) that could pave the way for shortboard surfing to be included, while also pushing the fact that SUP racing would be a perfect fit for the Olympic environment. Meanwhile Casper will be there as the “face of the sport” who can represent and relate the story of the athletes to the gathered dignitaries. The young gun will even be doing a one hour demo to showcase what Stand Up Paddling is all about. Having won two medals at last year’s ISA Worlds in Peru, not to mention countless podiums at other major events around the world, Casper is a perfect candidate. He’s also an extremely mature and likeable young lad that is always enthusiastic to promote the sport and have fun while he’s at it. In short: An extremely good ambassador. On a side note, remember how we mentioned in the “Top 13 of 2013” that Casper Steinfath had the potential to become one of the most important athletes in the sport in years to come, not just for what he can do on the water but also what he can do off it…? Well I’d say this is one more sign of the Danish Viking fulfilling that potential. It will, however, be an extreme whistle-stop tour for Casper: The young gun will finish the Brazil World Series event on Sunday April 6th, fly to Turkey on Monday, arrive on Tuesday, give a demo for the world’s Olympic head honchos on Wednesday, depart for Abu Dhabi on Thursday, then start competing in the World Tour surfing event on Friday. We’ll have a chat with Casper, when we catch up in Abu Dhabi, to get some insights into the conference that we can share with you. Until then you can get more details about the ISA @ SportAccord in the official media release.